Step on, push and have some fun! 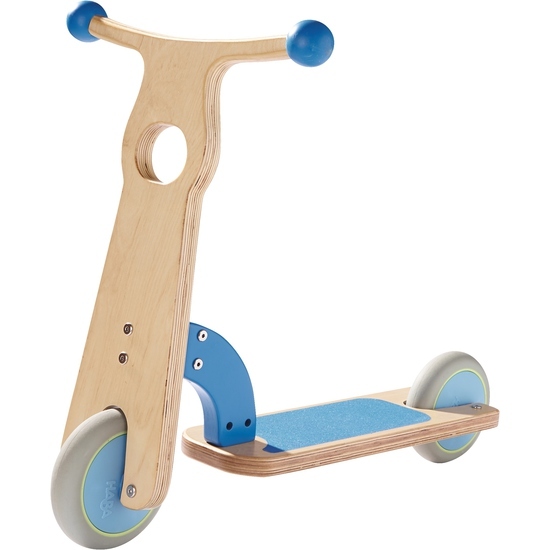 With this scooter the youngest can already get under way, criss- crossing the apartment on the two smooth running plastic castors in total safety. The tread’s slip-proof coating guarantees a stable footing both on straights and curves. The two plastic knobs on the handlebar prevent little children’s hands from slipping off the sides.